The two leading alternative venues in Holland will be curating a venue at this year's Incubate. 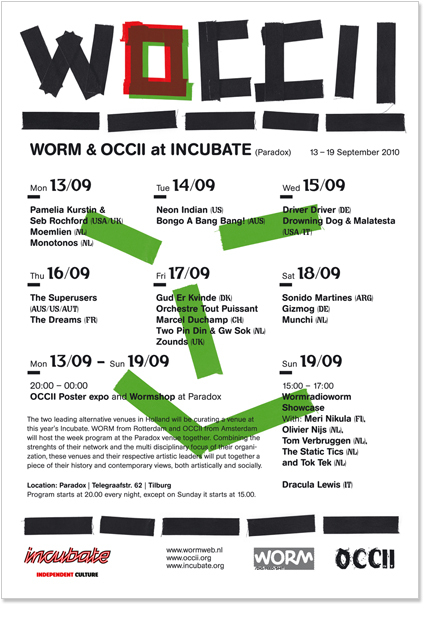 WORM from Rotterdam and OCCII from Amsterdam will host the week program at the Paradox venue together. Combining the strenghts of their network and the multi disciplinary focus of their organization, these venues and their respective artistic leaders will put together a piece of their history and contemporary views, both artistically and socially.